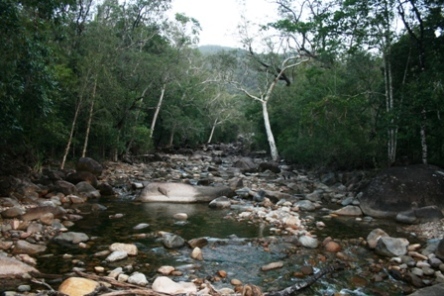 Paluma Range National Park is in tropical north Queensland. Just north of Townsville and its northern beaches, this national park contains Australia's southernmost tropical rainforests. 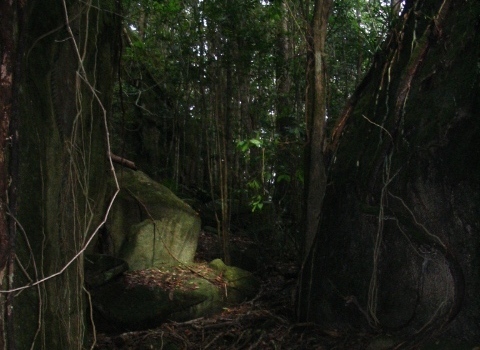 The rainforests south from here, for example the ones around Mackay, are subtropical. It is a beautiful national park, with thick rainforests, great waterfalls and swimming holes, and plenty of wildlife, particularly birds, including red tailed black cockatoos and the southern cassowary. The park has two different sections - Jourama Falls and Mount Spec. 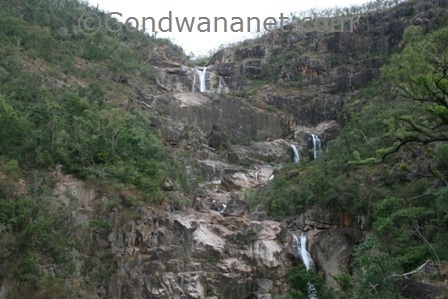 Jourama Falls is the northernmost section - almost 100km north of Townsville. 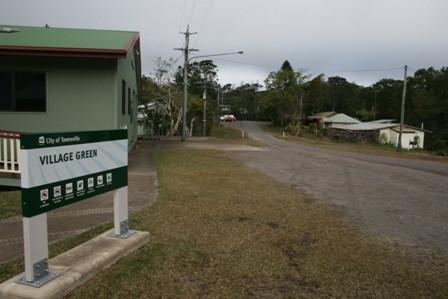 The track that turns off the highway has two causeway creek crossings, before you get to a picnic shelter and a camping ground. You can drive a little further but the last bit is a walking track that goes to rock pools and the falls themselves - they are beautiful. 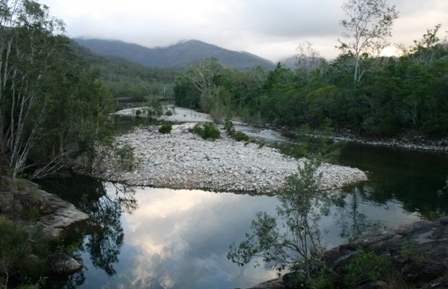 The southernmost section - Mt Spec - has two different areas - Big Crystal Creek and Rockslides accessed via Spiegelhauer Road; and Little Crystal Creek, Paluma Village, Hidden Valley, Birthday Creek Falls and Lake Paluma accessed via Mt Spec Road. The northernmost access road takes you to Big Crystal Creek. There is a national parks camping ground with picnic tables, showers, toilets and great swimming in Paradise Waterhole. 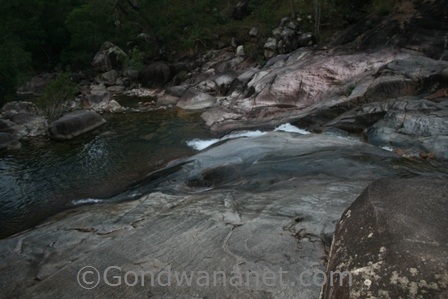 A little walk away are Rock Slides - another great place for a cool dip. The southernmost access road - that starts just north of Rollingstone and the nothernmost Townsville Northern Beaches, first has a fairly steep and windy climb up to Mount Spec. Once up, the road first crosses Little Crystal Creek - another great swimming hole. 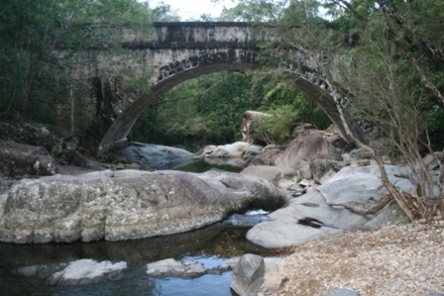 There are picnic facilities near the old bridge from the 1930s - the only one of its kind still in service in Queensland. The road then continues towards McClellands Lookout. The lookout is a little walk from the road, and has toilets, picnic tables and great views. Nearby are two, a little more demanding walking tracks - Cloudy Creek Walk that goes through rainforest to small waterfalls, and Witts Lookout Track that climbs to rocky outcrops for more views from Witts lookout. The walks and lookouts are very close to the small rainforest village, which is very cool due to the altitude. The village has a history of tin mining and forestry. Today it has an environmental education centre. There are also two short rainforest walks that start in the village, one goes past an old mine shaft and historical logging equipment. There is motel, B&B and cottage accommodation available. 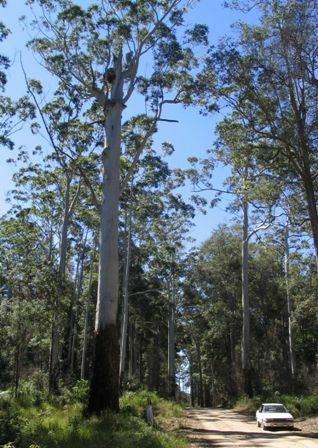 If you continue driving west after the village, you come to open forest with huge eucalypt trees, and a road junction, where turning left takes you to Hidden Valley - an area outside the national park. As the altitudes drop the temperatures rise and moisture disappears. Turning right at that road junction takes you to Lake Paluma Road that goes past Birthday Creek Falls before it gets to the lake. 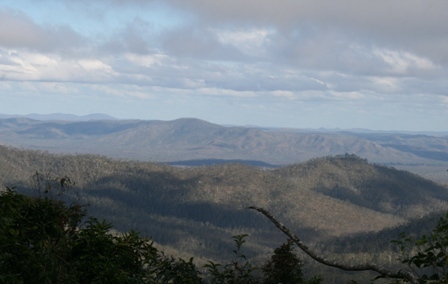 East of the lake is Mt Spec, covered by some very deep, remote rainforests.